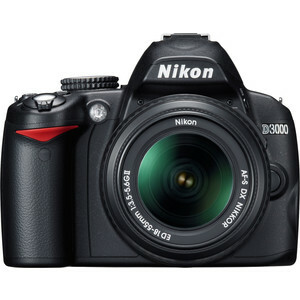 Nikon D3000 has a Nikon F lens mount and currently there are 302 native lenses available for this mount. Beware that Nikon D3000 doesn't have an internal focus motor so it will not auto focus with old-style screw-drive autofocus (AF) lenses. It still works well with modern Nikon AF-S, AF-I and G lenses but lenses form 1980s may not autofocus on Nikon D3000. Nikon D3000 doesn't have a sensor based image stabilization system but 88 of these lenses already comes with optical image stabilization. Since Nikon D3000 has a APS-C sensor, it has a focal length multiplier of 1.5x so you have to multiply lenses original focal length with this multiplier to find the Full Frame equivalent focal length of the lens when mounted on D3000.